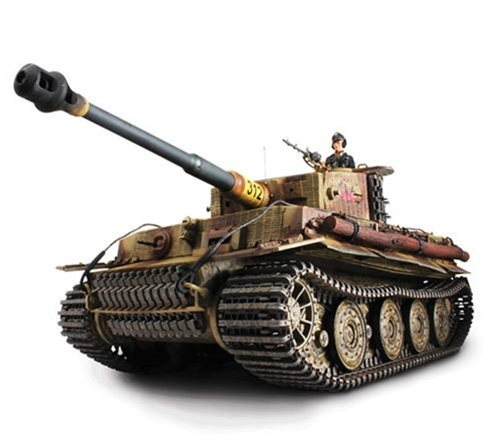 Produced in the Orient, the 'Extreme Metal' Series represents a brand new range of high quality diecast metal military vehicles crafted in 1:16 scale. All of the vehicles in this range feature working parts that include rotating turrets, elevating guns, and movable metal tracks. Composition of each vehicle is 100% diecast metal and the turret can be removed to view each crew station within the vehicle. Each tank sports opening hatches, detachable parts, diecast ammunition, and distressed weathering effects to the vehicle's exterior to give them a more battle hardened appearance. If you're looking for a great conversation piece, then look no further than the 'Extreme Metal' Series. Our Price: $499.99 Sold Out! Our Price: $899.99 Sold Out! Our Price: $999.99 Sold Out!